I can't help but dread the temperature drop every single winter. I'd much prefer 70s all year round, but we can't always get what we want, can we? However, cold weather isn't all bad. In fact, some of the best fictional characters possess the power to wield ice. I hereby present to you a few of my favorite ice wielders. Though, I've limited the characters to those whose powers mainly focus on ice and/or water manipulation. 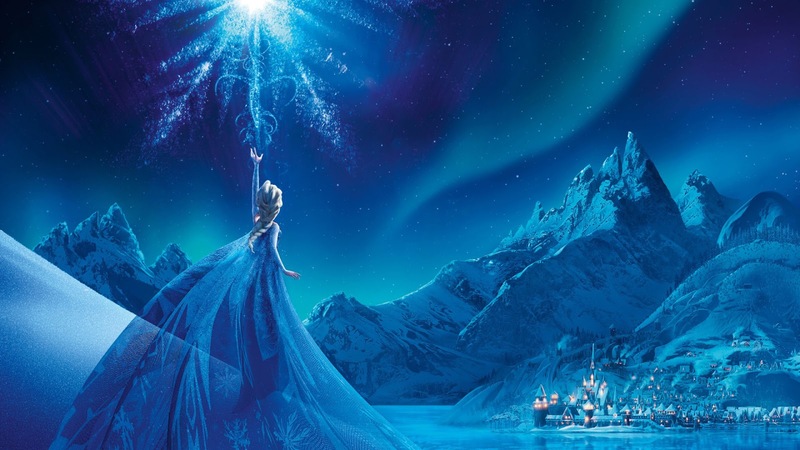 From an early age, Elsa has had power over snow and ice. But as she grows older, it becomes much more difficult to control. In fact, she ends up mistakenly freezing her entire kingdom! But even though her powers are that of ice and frigid cold, she has a rather warm heart. Best Thing About Cold Weather: Warm hugs, of course! 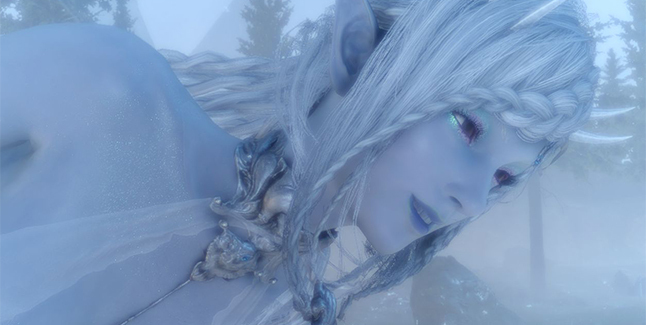 Throughout the Final Fantasy series, Shiva has filled the role of summon and goddess. In all games of the series, she’s used her tremendous powers (ahem, diamond dust) to help our heroes out of countless messes. Best Thing About Cold Weather: The stainless beauty of ice and snow. Everything glitters. 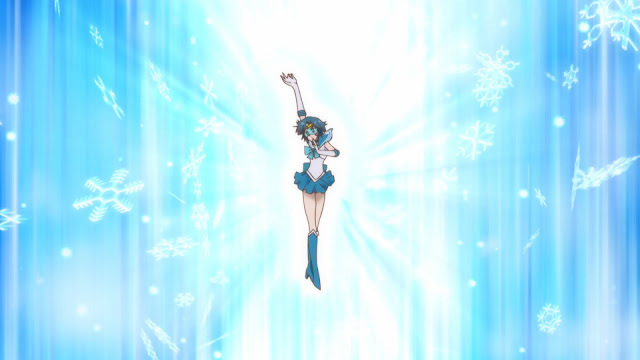 Sailor Mercury isn’t just the brains of the sailor scouts. Rather, she also packs a punch in the powers department, especially with her Shine Aqua Illusion (and Shine Snow Illusion), which sends forth a wall of water that miraculously turns to ice or snow. Best Thing About Cold Weather: Staying inside with close friends and curling up with a good book. Iceman is a mutant with the power to freeze water to ice particles. He's even able to turn his entire body to ice! Waterbenders like Aang, Katara, and Korra are able to control water in various forms. They also have one of the most graceful and fluid fighting styles, which reflects their control of water in all its stages: liquid, solid, and even gas. Best Thing About Cold Weather: Definitely penguin sledding! Though the Ice King has a rather sad story, he still finds time to enjoy himself (maybe sometimes in the wrong ways). 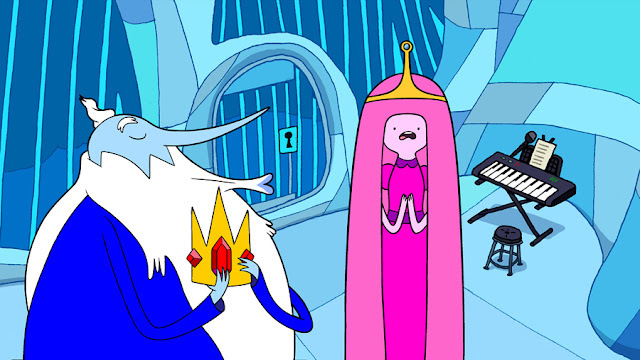 Through a series of unfortunate circumstances, the Ice King received the power of the crown, which gave him control over ice and snow. Best Thing About Cold Weather: It’s easier to kidnap princesses because they’re too busy drinking hot cocoa! Jack has domain over winter, including the ability to fly, speak to the wind, and create ice and snow. As a guardian, his true power is something much deeper and much more important. Best Thing About Cold Weather: Snowball fights, sledding, holidays, snow days…that face.